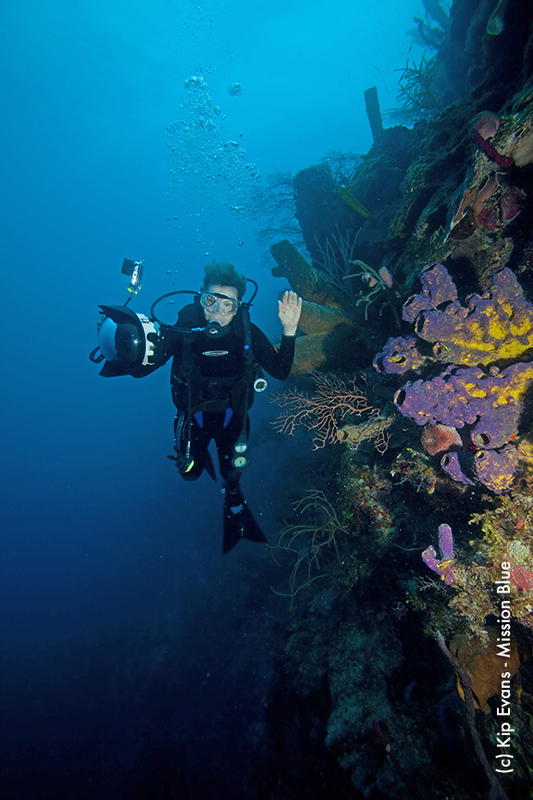 Scientist and explorer Sylvia Earle warns that the oceans are “not too big to fail.” But she also says that just maybe, we’re growing wise enough to save them. 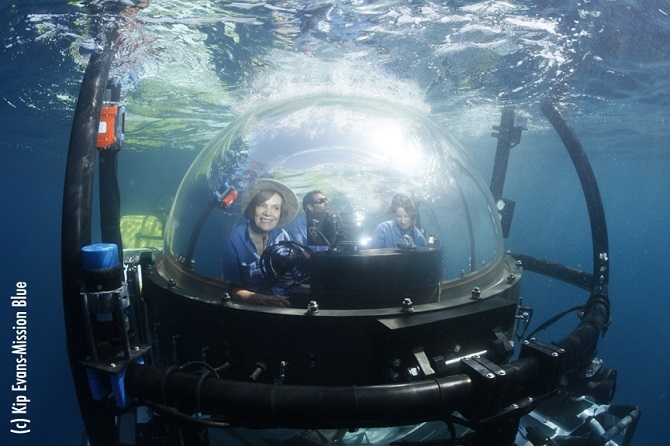 Sylvia Earle hasn’t quite spent a year under water—yet. At age 78, she’s at over 7,000 hours, which translates to about 292 days. But she’s going strong. “I just added a few more hours to time under water,” Earle says, “because I’ve just returned from the Gulf of Mexico, 100 miles offshore to a place called the Flower Garden Banks, where at this time of the year, several key species of corals whoop it up and do what it takes to make more corals.” Earle is referring to the phenomenon of mass coral spawning, in which huge numbers of corals all release gametes into the water at once, which in turn float to the surface where fertilization occurs. To hear divers tell it, these events of mass reproduction are one of the great wonders of the undersea world—one that all too few of us ever get to see. If you’re inspired by Earle’s ability to pull this off at age 78, just wait: The real inspiration lies in her stunning plea for ocean conservation. In this episode of Inquiring Minds (click above to stream audio), Earle doesn’t shy away from giving us the really, really big picture. She explains that we’re the first generation of humans to even know what we’re doing to 96 percent of the Earth’s water—through assaults ranging from over-fishing to noise pollution to global warming’s evil twin, ocean acidification. Earlier generations just didn’t get it; they simply had no idea they could have this effect. “We have been under the illusion for most of our history, thinking that the ocean is too big to fail,” Earle says. Now, thanks in large part to the work of ocean adventurer-scientists like Earle, we know better. And we’re right at that crucial moment where knowing something might actually help us make a difference. 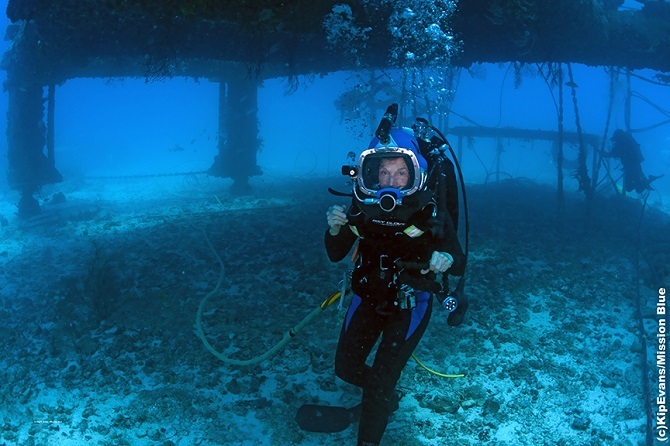 Earle has set several underwater depth records, including diving to 1,250 feet without a tether (in other words, without a safety line connecting her to another human at the surface) in 1979. Oh, and then there’s her scientific research: Over 100 publications on topics including marine flora and fauna (Earle hasdiscovered several new species), the effects of oil spills, undersea exploration technologies, and much else. In pushing us to care about the oceans, Earle’s plea is as simple as it is moving. First of all: We now understand the massive effect we can have. Now we see our impact and we see tipping points already before us. Ocean acidification is one of them: As ocean waters become more acidic due to increasing concentrations of dissolved carbon dioxide, the entire chemistry of the ocean changes, creating a new environment that ocean organisms aren’t necessarily evolved to cope with. Bleaching corals go first, but corals are fundamental to entire undersea ecosystems. Many shelled organisms also fare badly under acidification—clams, oysters—and thus, by definition, so do ecosystems (or, the humans) that rely on them. A 2008 study found 400 ocean dead zones—regions without enough oxygen for ocean life—amounting to a total area of 245,000 square kilometers. That’s as large as the United Kingdom. According to one prediction, unless something changes, all global stocks of fish that are harvested for human consumption will collapse by 2048. Ocean acidification is proceeding at an insane clip: Recent research suggests the rate is faster than at any time in the last 300 million years. This story appears here as part of the Climate Desk collaboration. Climate Desk has launched a new science podcast, Inquiring Minds, co-hosted by contributing writer Chris Mooney and neuroscientist and musician Indre Viskontas.